Dear Naoki, Thank you for taking the time to write your feedback in Agoda regarding your recent visit to equilibria seminyak. We are glad to hear that you enjoyed our 24 hours breakfast service and will commend our chef for your great review. On the other hand, we appreciate your kind feedback regarding our bathtub cleanliness and the lack number of our Japanese speaking staff. All our staff is committed to do their best to give our guests a beautiful and perfect vacation despite any language barrier that might exist. Your valued comments and suggestions are important for us to improve our performance and ensure that all our guests leave having experienced true equilibria experiences. Again, thank you for your important feedback and we wish there's a chance to host you back again in the future. Dear Tomoyo Thank you for your praise as well as your feedback regarding your 4 nights experience with us at eqUILIBRIA SEMINYAK, I am delighted to know that you enjoy the overall eqUILIBRIA SEMINYAK experience. I will certainly share your wonderful comments with the entire team as I believe that they will feel very happy since their efforts to deliver uncompromising service to the valued guest are truly appreciated. On behalf of all team, we are looking very much forward to welcoming you back eqUILIBRIA SEMINYAK Bali for another memorable experience. Signature villa is tranquil and cozy with nice facility. Butler and staff are nice and provide good services. eqUilibrium will be our first choice for the next time to Bali. By the way, SPA in eqUilibrium is excellent, helping you to thoroughly relax after day tour. Dear David, First of all, Thank you for your precious time to post a wonderful review of eqUILIBRIA SEMINYAK. No words could describe how glad our team to learn that you have a wonderful time enjoying the facilities, tranquility, foot and body massage at eqUALIZE Spa and our level of services in eqUILIBRIA SEMINYAK. It is our mission to ensure that all of our valued guests experience bespoke and uncompromising services to create beautiful and unforgettable memories for our valuable guests in order to make them feel like home. On behalf of all team, we are looking very much forward to welcoming you back eqUILIBRIA SEMINYAK Bali for another memorable experience. Location wise is quite good, although the entrance is quite narrow to get in. The staffs are all very welcoming and friendly. We got 20min complimentary massage, which felt quite good. I would recommend this place. Dear Gracia, It was indeed a great pleasure having the both of you staying with us recently. All our team had a great experience with the both of you. We are glad to see that you enjoyed your stay with us, and appreciated all the little extras that we do our guests. Your kind comments have motivated our team, as we strive to provide all our guests at a unique Balinese experience. We look forward to seeing the two of you again next year. Wishing you and your family all the best in the coming year. All of the staff were exceptional during our stay. They were always very friendly from day to night. The hotel was kept as clean as possible at all times. The quality of the breakfast was great as well! Dear Elaine, It was indeed a great pleasure having the both of you staying with us recently. All our team had a great experience with the both of you. We are glad to see that you enjoyed your stay with us, and appreciated all the little extras that we do our guests. Your kind comments have motivated our team, as we strive to provide all our guests at a unique Balinese experience. We look forward to seeing the two of you again next year. Wishing you and your family all the best in the coming year. One of the best hotels we have ever been to! The location is great, service amazing, and staff were so friendly and kind! Would definitely come back again! Dear Anush, Thank you very much for your staying with us, and sharing your kind feedback here. We are glad that you enjoyed our central yet tranquil location, and especially our service. Service is the key to any successful hotel, and it is something that our entire team pride themselves on providing to all of our guests. It is the little touches that differentiate us from other hotels. We wish you all the best and look forward to seeing you again some day in Bali ! Terima Kasih ! Upon check in, you get a welcome drink and cake and a 20min free massage which was great! 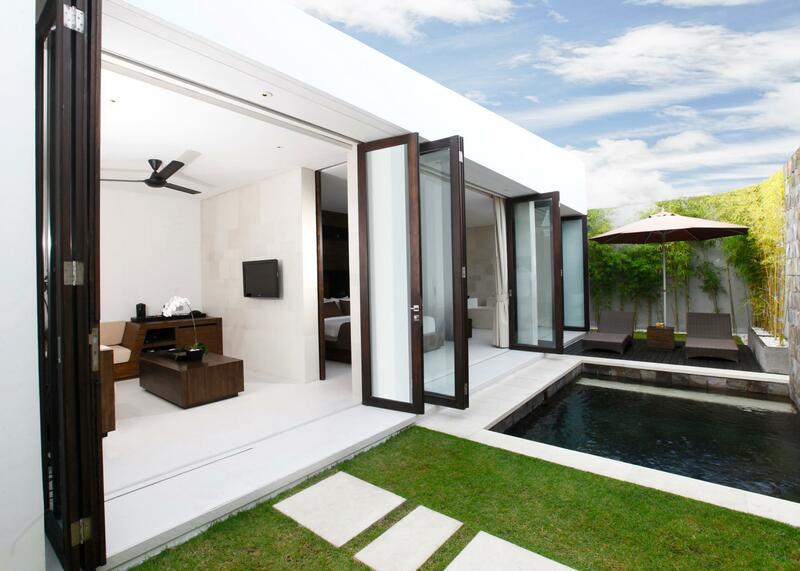 The pool villa we booked was spacious and aesthetically pleasing. Facilities were abundant and staff were extremely friendly and hospitable. You have your own butlers 24/7, a call away via a mobile device they provide, which you can bring around with you in Bali. Breakfast was really delicious and sumptuous. It can be served right to your villa or by the main pool, at the time of your choosing. The gym was also well maintained and sufficient for a quick workout. Upon checkout you get a free drop off at anywhere in semiyak. We don't usually live this lavishly but we felt pampered at the end of 2 nights. I'd urge anyone reading this to definitely give this place a shot. We would definitely be back for the waterfall villa which was sold out at the time of booking. Dear Wilson, Thank you for your praise as well as your feedback regarding to your 2 nights experience with us at eqUILIBRIA SEMINYAK, I am delighted to know that you enjoy the overall eqUILIBRIA SEMINYAK experience in particular to our extremely spacious villa, 24 hours breakfast service, free shuttle service within Seminyak are along with villa facilities such as gym and eqUALIZE Spa, especially with our staff that committed to deliver exceptional services to you. I will certainly share your wonderful comment with the entire teams as I believe that they will feel very happy since their efforts to deliver uncompromising service to the valued guest are truly appreciated. On behalf of all team, we are looking very much forward to welcoming you back eqUILIBRIA SEMINYAK Bali for another memorable experience. Cons for the waterfall villa room 204: No hairdryer (im sure the butler will pass you one if asked) / no side tables in the bedroom for those who like to have a cuppa b4 bed or read, no plc to put stuff / power point is inside the headboard no plc to put the hp to charge if no side tables. If you are expecting a view then no this plc does not offer that. Living room shld hv provided handwash or liquid soap since there is a stove for cooking. Pros: location (lots of eateries outside) / staffs are friendly / clean and spacious villa. cute room, friendly staff, great location! nothing else can go wrong. Dear Risliani, Thank you very much for your recent stay with us. We are all glad to hear that you had an enjoyable stay and honeymoon celebrations. With growing expectations from all of our guests, especially from the excellent reviews that we have been getting, we are continually trying to raise our standards even more to WOW our guests. We are blessed with a great team that continue to serve our guests in true Balinese hospitality. We wish you and your family a great year ahead, and may we see you again in Bali in the near future. Dear Suchart, Thank you very much for your recent stay and your praises. With growing expectations from all of our guests, especially from the excellent reviews that we have been getting, we are continually trying to raise our standards even more to WOW our guests. We are blessed with a great team that continue to serve our guests in true Balinese hospitality. Our location is definitely very unique in Seminyak. Being located on a little lane just 100m away from the main "food street" of Jalan Oberoi, our guests get to enjoy peace and quiet, see the unique paddy fields in front of our villas, and yet, are able to walk to almost everywhere in Seminyak. We wish you all the best, and look forward to seeing you again in Bali soon ! Would like to recommend this hotel, staffs are super friendly and polite. We have an extra stay with equilibria due to the volcanic eruption and they offered and arranged a free transportation to the airport for us on the next day. Breakfast are good, you can choose to eat it in the living room, or by the poolside. Design is nice, and they offer you a free 20 minutes massage for the first stay which is pretty good as well. Dear Janice, Thank you for your recent stay with us in eqUILIBRIA SEMINYAK. We are also pleased to hear that you had a great time with us despite the unfortunate circumstance of volcanic eruption. Our butlers are trained to have our guests well being in mind at all times, constantly trying to provide for guests even before you know that you need it - so you can focus on only one thing ... enjoying a pampered and carefree holiday. At equilibria seminyak, every little detail matters, and we strive constantly to exceed all expectations. We are very lucky to have a warm, hard working, and caring team of staff, nothing would be possible without their dedication and hard work. Thank you again for recommending us and all of us in eqUILIBRIA SEMINYAK is waiting for your return. Dear Sze, Thank you so much for your wonderful review and for staying with us in eqUILIBRIA SEMINYAK during your holiday in Bali. It is a great pleasure to assist you during your movement between villas during your stay. We are delighted to hear that our arrangements and services reached your expectation and you can enjoy your stay comfortably and worry free. We are blessed with a great team of staff who are extremely dedicated and detail oriented, even our Engineering and Housekeeping team are come up with new ideas on how to make our guests stay more enjoyable. I will personally share your comments with our team, and commend them for their high level of service. Finally, we are looking forward to seeing you again in Bali ! Thanks. Dear Jay, Thank you for your review on Agoda and we are glad that you enjoyed the Waterfall Villas, which is our most popular villa type. We appreciate your kind comments and gracious compliments about the facilities and decoration of our Villa, central location that is right in the heart of Seminyak and especially the impeccable personalized service. Thank you for your constructive feedback about wear and tear in our villa, it is well noted and we will immediately take action to aid this. Built in 2011 it is a challenge to maintain our villas and we now have a special project team to ensure that our villa condition is always top-notch for our guest to stay in. It was a pleasure welcoming you and we do hope it has not just been once in a lifetime! Nice environment, spacious, with privacy. Quite a variety of breakfast choices, and will be served to your room at anytime of your choice. Butler with 24hours service is a plus. Some maintenance is required for the building thou, such as doors/windows hinges or locking mechanism. Room's aircond stays at high flow at all times, therefore too noisy for my comfort. Suitable for couples on a romantic trip. Not for kids as the pool is deep, and lots of stairs. Not many covered walkways, chose ur time of visit wisely. Otherwise, great place to unwind. Dear Robin, Thank you very much for your kind feedback, we are glad that you enjoyed your stay with us. We are glad to hear that you appreciated the "privacy" in your villa. Being a high end luxury villa, we understand the need for guests to be left alone, and the need to be pampered at times as well. We are also extremely happy that you noticed some of our small little touches such as the 24 hours breakfast service with plenty menu to be chosen from and 24 hour butler service. Your constructive feedback about our villa’s condition and design is much appreciated. I have addressed this issue to the team and we will certainly strive to improve in the areas you note. We value your feedback as it helps us to focus on what is important to our guests. At equilibria Villas, our guests feedback is of utmost priority, and we are constantly upgrading our property and service with respect to this. We had 2 nights stay in this beautiful villa. Everything was so perfect! 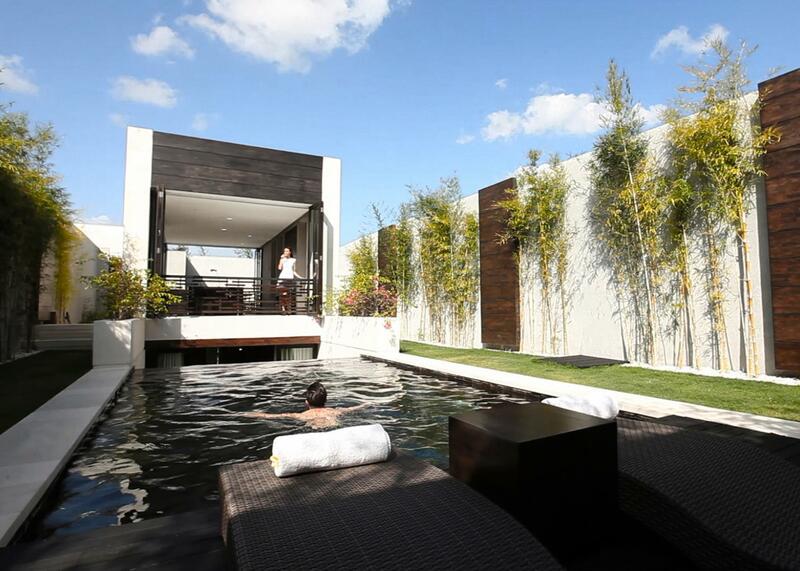 From the outdoor pool, villa pool, water fall, bedroom, toilet, bathtub, breakfast, everything! The moment we step in the villa we felt Super welcomed by all the staffs there. Breakfast spread was really amazing. What’s more when you can ask for a floating breakfast in your villa to snap some Instaworthy photo!! The only little disappointment i had was that I did indicate that this stay was our 1st year wedding anniversary. However no arrangement was done for us. But overall we really enjoyed our stay and can’t wait to be back! The villa was amazing! Enjoyed every minute of being there! The staff were lovely and always willing to help. The villa exceeded our expectations! Cannot recommend this place enough. The villa was also very clean. Wouldn't stay anywhere else in Seminyak! Dear Vanessa, Thank you very much for taking time out to write a review about your stay with us at equilibria seminyak. We are glad that you enjoyed your villa experience, and got to experience our true Balinese welcome. You are completely right about our team, they are what makes our hotel so special. Our internal policies stem from an understanding that "Our Staff need to be happy before they can make the Guests happy" ( many hotels just focus on the guests, and forget about their own team ). We focus a lot of our energy to create proper facilities, training, and team building for our team - and what our guests experience, is living proof that our philosophy is the way forward. Thank you, and we look forward to seeing you again in Bali one day! 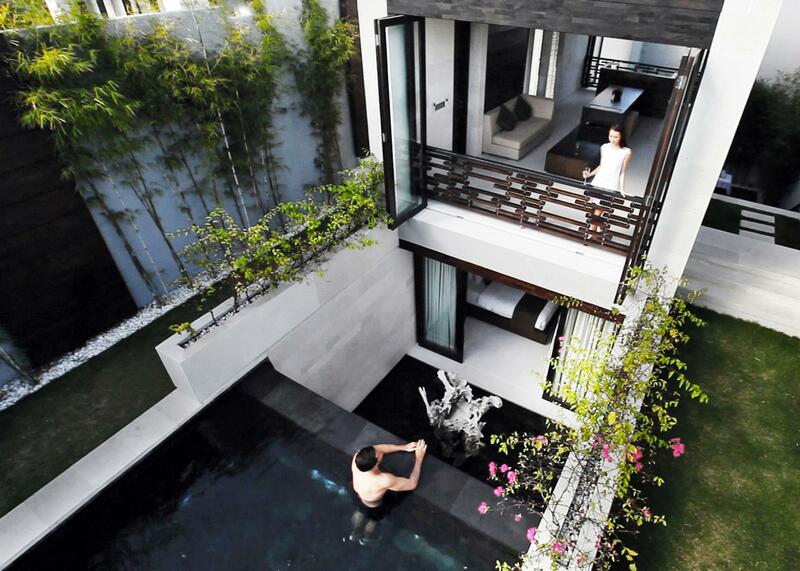 This villa is just amazing. Everything is so detailed and thoughtful. Quite Big and clean room, superb customer service. Also, my butler, Ugi, gave us many supports in terms for every aspect. Will definitely come back soon! Dear BO, Thank you for your kind words. We are glad that you enjoyed your stay with us. Every little detail matters to us, and we are encouraged that you noticed our small touches. We sincerely believe that it is the small details that makes our guest's stay that little bit more memorable. I will personally commend our butler, Ugi, with regards to his service, and your plan to come back is much anticipated. We constantly push our butlers to provide that little extra touch for our guest, so that you can just sit back, and enjoy your holiday. We'll take care of all the rest. Finally, we are looking forward to seeing you again in Bali ! Thanks. Great location, near shops, resturants, spa, every things. modern style of building, use modern devices. Breakfast need to be more details to order, not just the main dish. Every things went fine the they were upgrade us as we noted them we wre coming for honeymoon. Dear Nasser, Thank you for your staying with us during your honeymoon, we are glad that we able be a part of your special trip in Bali. We are very happy that you enjoyed the minimalist and eco-friendly design of our villa along with the complimentary use of iPads and iPhones ( for Signature Villa guests ) that support our mission to go paperless. Our location is definitely one of our best features. All guests enjoy the fact that we have a 24 hour supermarket 1 minute walk away, and are a mere 2 minute walk to the famous "Eat Street" where all the main restaurants in Seminyak are located. We also appreciate your constructive feedback regarding our current breakfast menu. It continues to inspire us to improve on our services. Wishing you and your loved ones all the best, and we hope to see you again soon in Bali !